The Sixth Amendment to the United States Constitution guarantees an accused the right to representation by counsel in serious criminal prosecutions. Enacted in 1964, the Criminal Justice Act ("CJA"), 18 U.S.C. § 3006A, establishes a comprehensive system for appointing and compensating attorneys for accused individuals who are financially unable to retain counsel in federal criminal proceedings. The Judicial Conference of the United States has promulgated guidelines for the administration and operation of the CJA in Volume 7 of the Guide to Judiciary Policy. 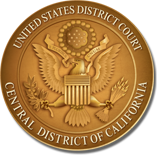 As required by the CJA, “[e]ach United States district court, with approval of the judicial council of the circuit, shall place in operation throughout the district a plan for furnishing representation for any person financially unable to obtain adequate representation in accordance with this section.” The current CJA Plan for the Central District of California, codified in General Order No. 13-09, was approved by the Court on July 30, 2013 and approved by the Judicial Council of the Ninth Circuit on September 10, 2013. The Judicial Council of the Ninth Circuit has also instituted policies and procedures to guide the administration of the CJA. In 2015, Chief Justice of the United States John G. Roberts, Jr. appointed a committee to study the quality of public defense administered under the CJA in federal courts nationwide. In 2017, the Ad Hoc Committee to Review the Criminal Justice Act published a Report assessing criminal defense under the CJA and making recommendations to improve the criminal justice system. This Report is recommended reading for all CJA Panel Attorneys and anyone interested in criminal defense.